An interesting sightseeing choice, located in the downtown of Churachandpur, for all those who love to take a dig into the different Indian cultures is Tuibuong Tribal Museum. The museum takes you on a historical tour of the magnificent past of Manipur and its inhabitants. Basically, this popular museum in Churachandpur, through its rich exhibitions, gives you a glimpse into the time of erstwhile Kingdom of Manipur to the days when the entire country was ruled by Britishers and to the history of the post-independent era. Although, the museum does not have a much space, yet, it boasts some rarest and the finest collections that once a significant a part of the traditional and ancient Manipur. Be it antiques of tribal humans of the region, the tribal costumes or artefacts made up of bamboo and cane, you can expect to see all that in the display gallery of Tuibuong Tribal Museum. In addition to this, guns and various other forms of ancient ornaments are also put up on display in this beautiful museum. Every day, a large number of visitors, both tourists as well as locals, visit the place to quench their evergreen curiosity. 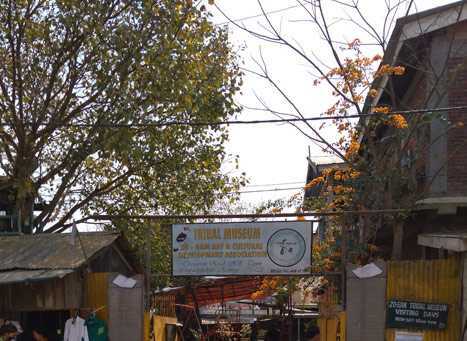 For all those on a family trip, Tuibuong Tribal Museum is the best tourist attraction in Churachandpur for your kids as they get a chance to enhance their learning. Not just the kids, a trip to this enthralling museum would be wonderful for you as well in case you are agog with curiosity to know about the rich traditional and cultural legacy of Manipur. Since the Churachandpur district receives the most favourable weather conditions in the season of winter, which is from October to March, hence, these months are considered the best time to visit Tuibuong Tribal Museum. Despite this, a number of tourists also plan their visit in the months of the summer season, i.e., from April to June, that makes the summer season also an ideal time to visit the museum. Get authentic information on how to plan an incredible trip to Odisha. Tour My India brings to you all the important details on how to reach Odisha by different means of transport along with information on where to visit and what to do on your Odisha tour. Find information on best time to visit Odisha and a comprehensible travel guide to varied destinations in the state that are worth visiting.